Pickup from Ahemedabad airport and leave for Mount Abu. On the way u can cover Ambaji Darshan Afternoon Darshan. Reach Abu by evening. Evening you can enjoy a boat ride on Nakki lake (on own). Overnight at the hotel. Morning you will proceed for a full day sightseeing tour of Mount Abu visiting viewing Gurushikhar, Arguda Devi Temple, Brahamkumari Ashram and the famous Dilwara Temples carved in marble. Evening will be your leisure. Overnight at the hotel. Leave for Udaipur Via. Ranakpur/ Nathadwara/ Eklingji. Arrive in Udaipur. 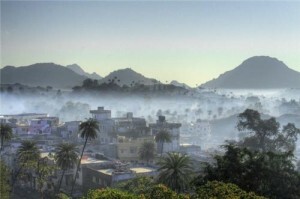 Later in the afternoon depart for half-day sight seeing tour of Udaipur visiting the City Palace Museum. Overnight at the hotel. Leave for Chittaurgarh approx. 100 Kms. Sightseeing Chittaurgarh Fort. Train for Indore at 10:55 Pm. Night in Train. 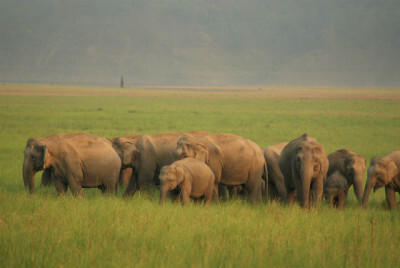 Pickup from Delhi Railway station / Airport and depart for Corbett by surface approx. 300 kms / 7 hrs. Arrive in Corbett. Check in Hotel. Evening will be at your leisure. Overnight at the hotel. Early Morning you will proceed for a Jeep safari inside the park to witness the wild life. Later you will return to your hotel. (Pls. Note if the Jungle safari is not pre booked there can be non availability of Safari. It is recommended to Book the Jungle safari through the Hotel staff calling them directly nearly 30 Days prior to your visit to Corbett). After breakfast leave for Nainital by surface approx. 70 kms/2 hrs. Afternoon you will arrive in Nainital and check inn at your hotel. Rest of the day will be at your leisure or you can enjoy a boat ride on Naini Lake (on onw). Overnight at the hotel. Morning after breakfast you will proceed for half day excursion of the Lake tour visiting Sattal/ Bhimtal / Tifintop & Naukuchiatal. and afternoon you will return back to your hotel. Evening you can enjoy a stroll on the Mall road and Shop the famous wax candles.you can enjoy a boat ride on Naini Lake (on own)Overnight at the hotel. Morning after Breakfast check out from the hotel, Proceed for Delhi approx. 335 kms / 9hrs. You will be transferred to the airport/ Railway station.